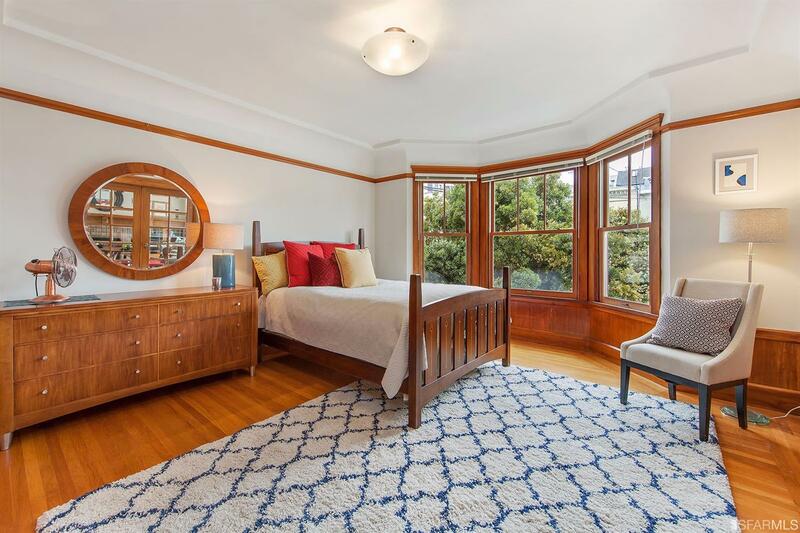 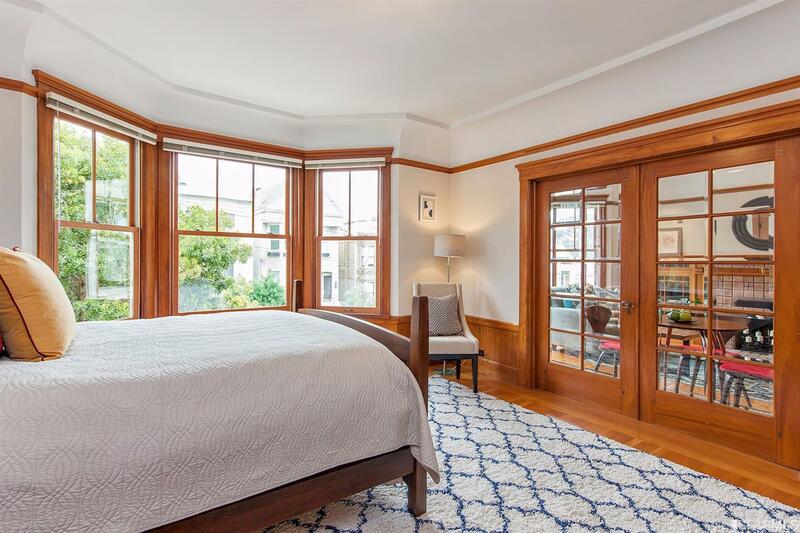 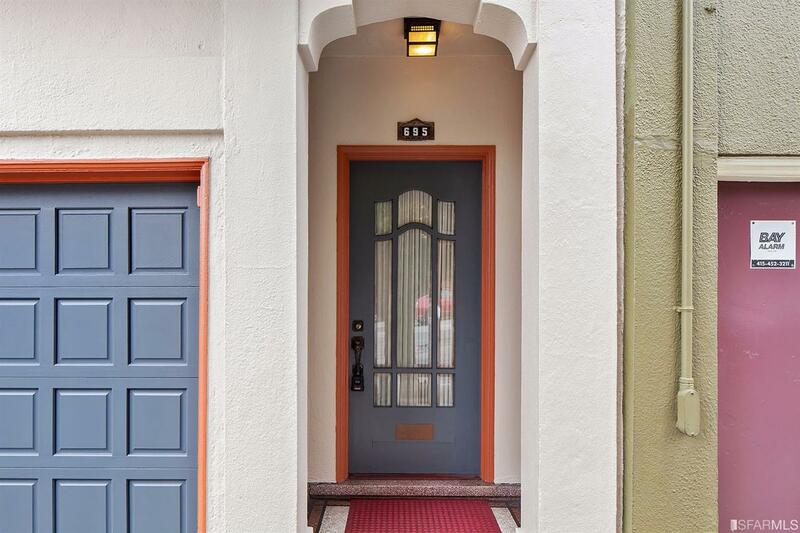 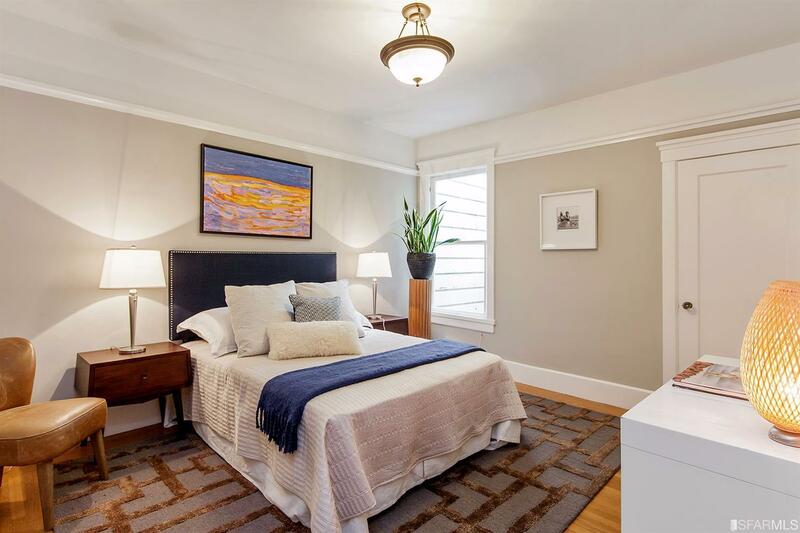 Welcome to 695 Castro Street, embracing location, lifestyle and vintage comfort – a blend of the very best of San Francisco’s city living, with the festive culture and rich history of the world-famous Castro District. 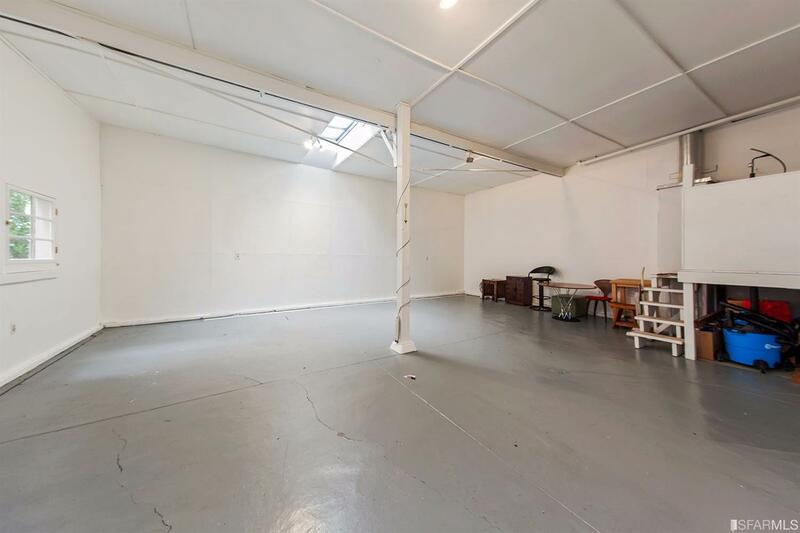 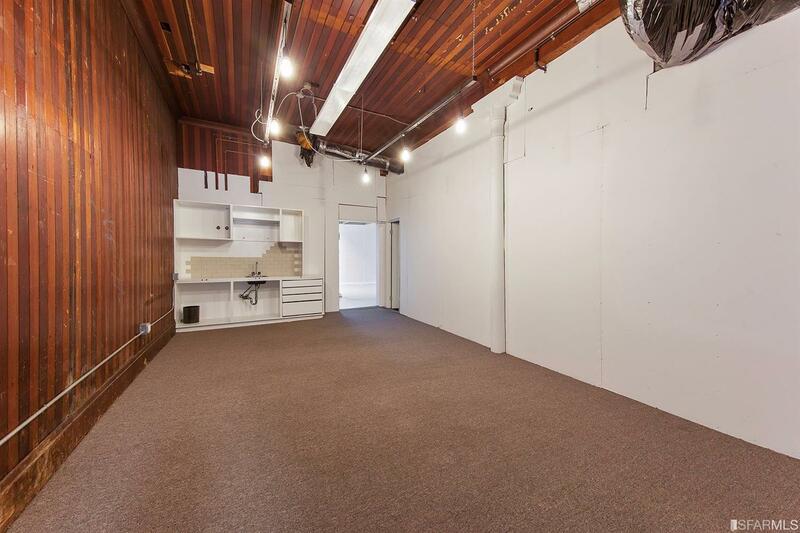 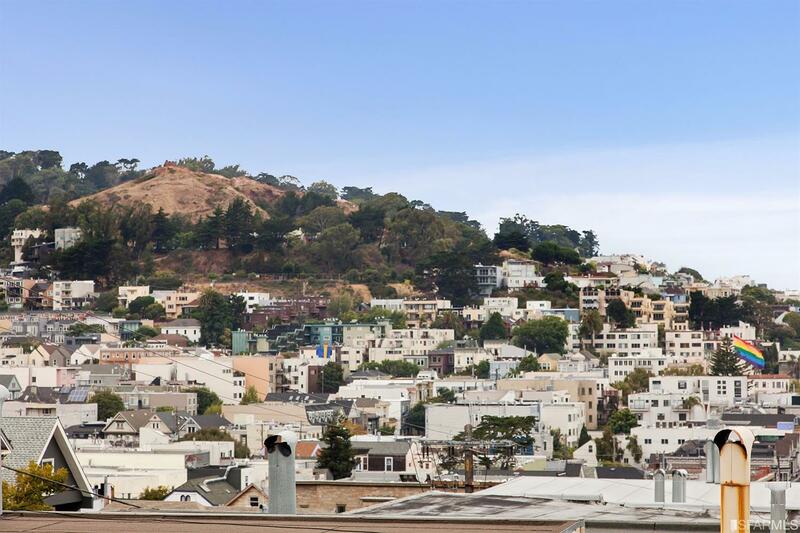 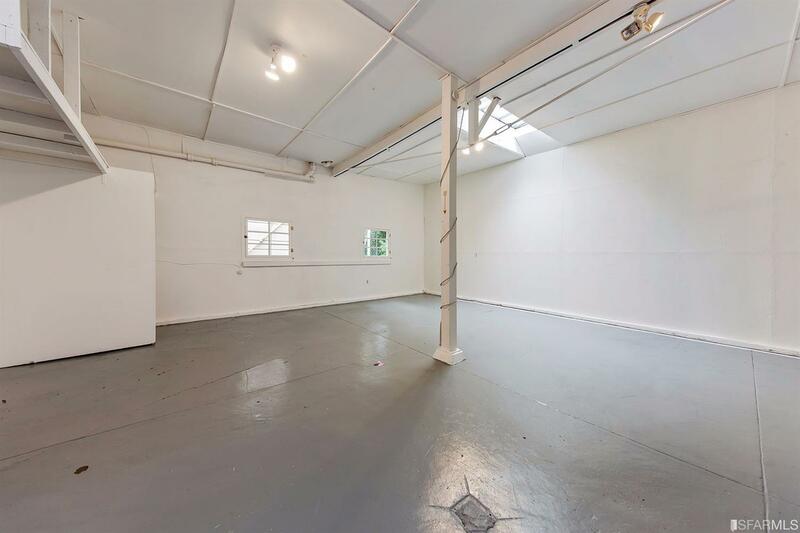 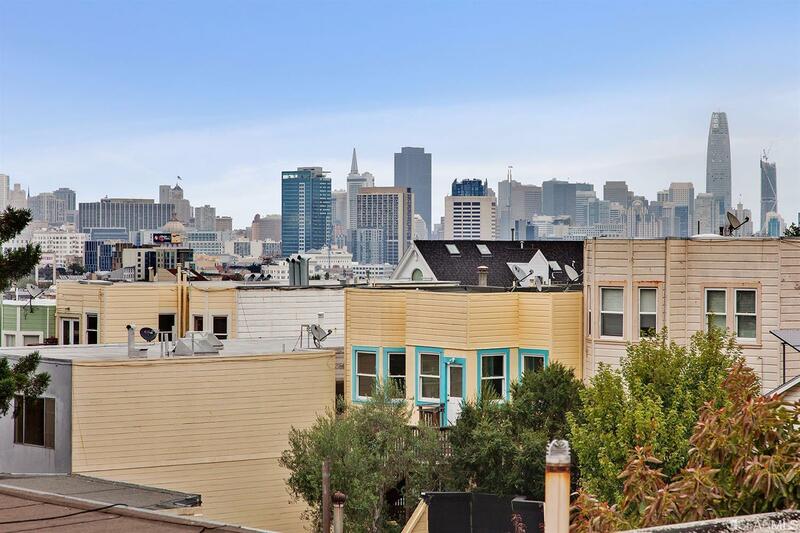 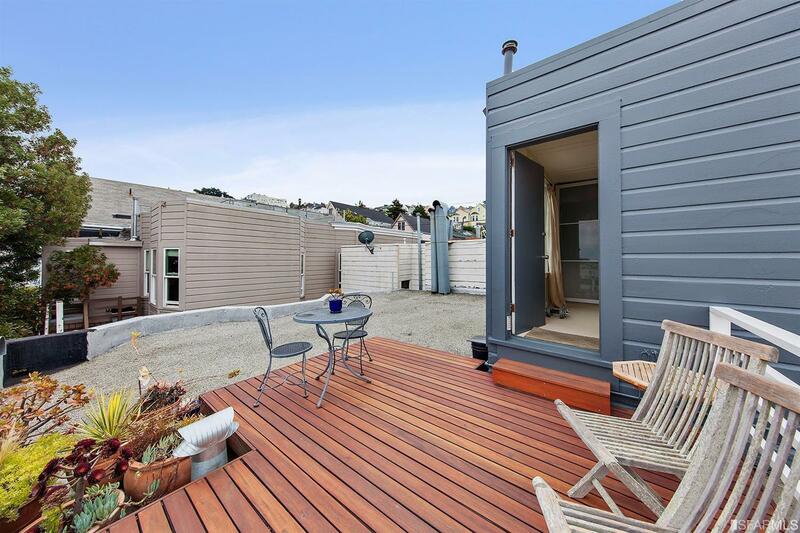 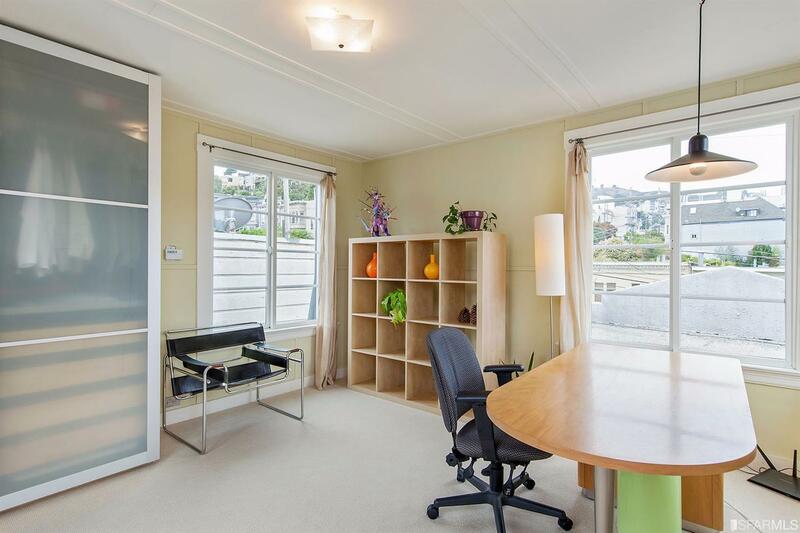 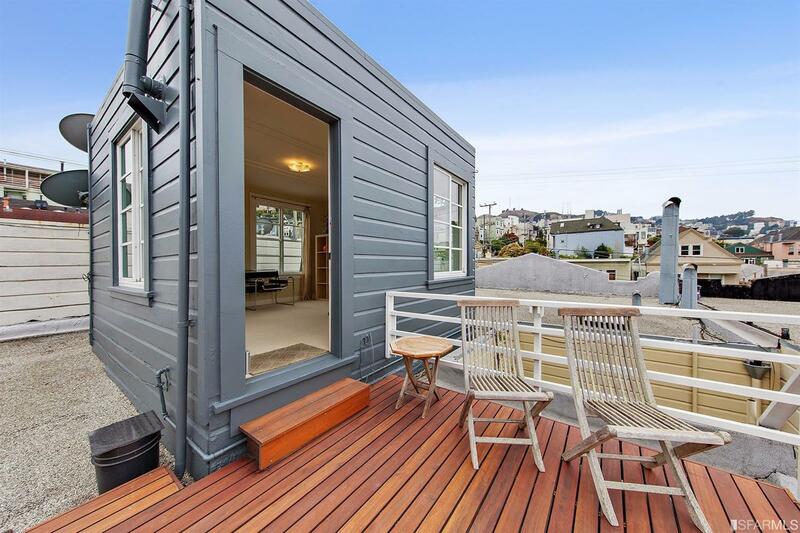 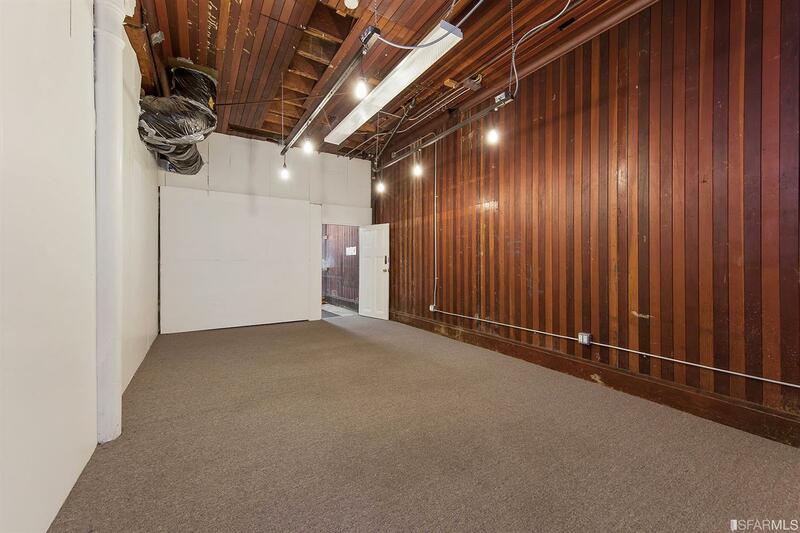 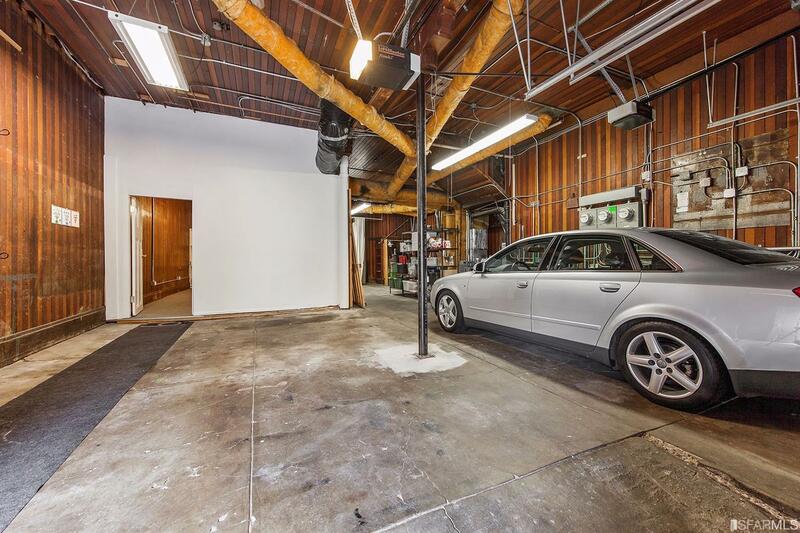 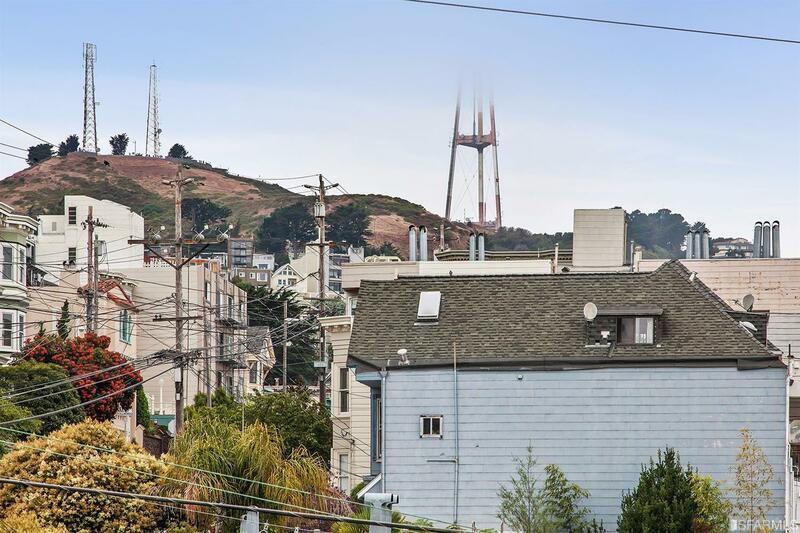 This home features two remodeled one-bedroom living units, a sunny rooftop deck with bonus room and serene vistas of the City from Downtown to Twin Peaks, two side-by-side parking spaces, and an immense ground floor that will inspire creativity! 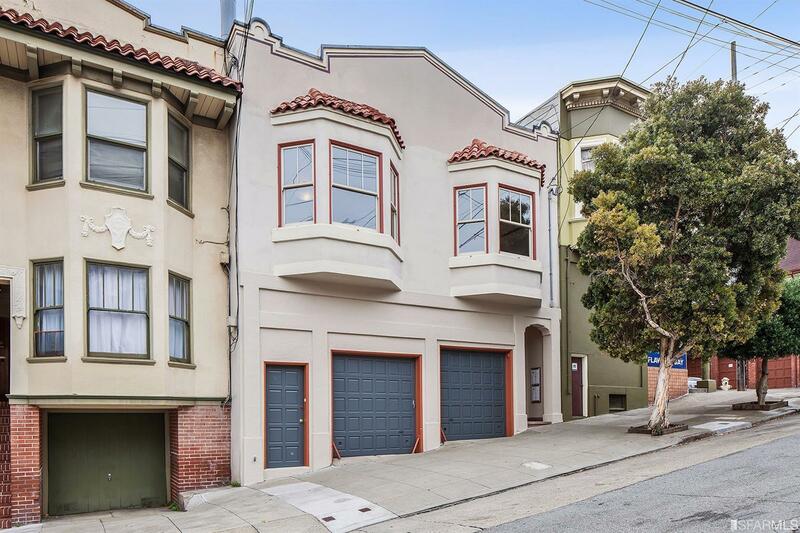 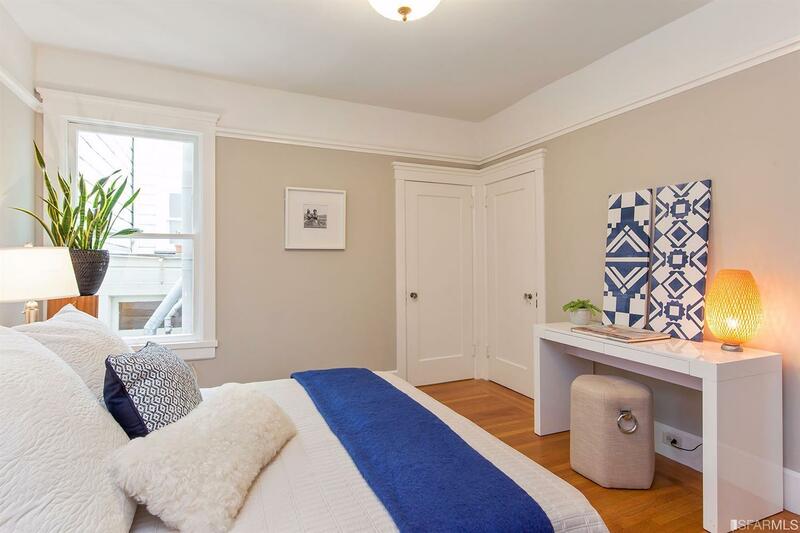 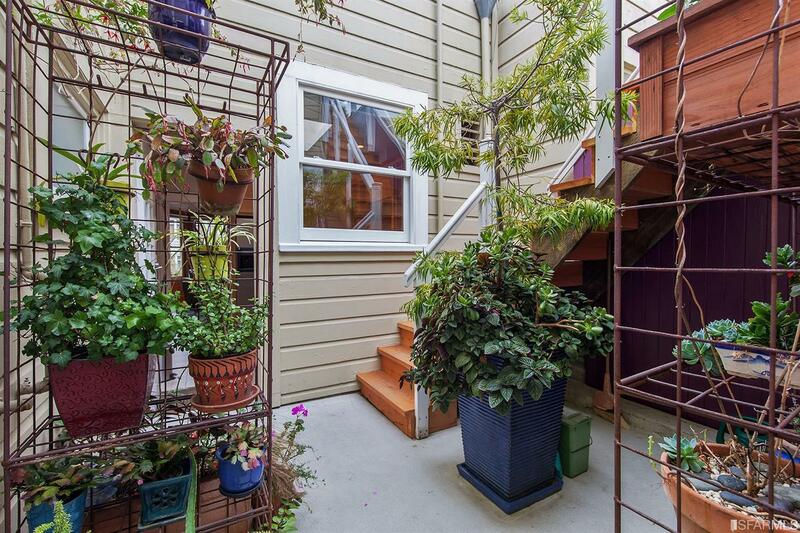 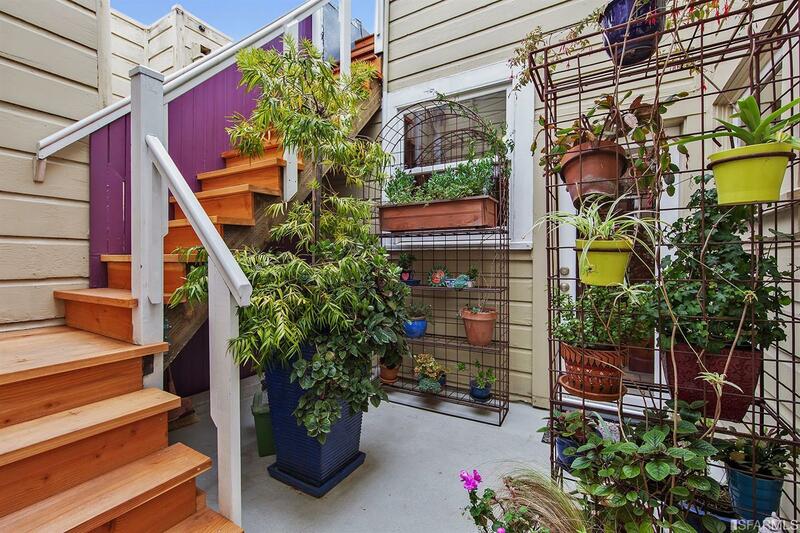 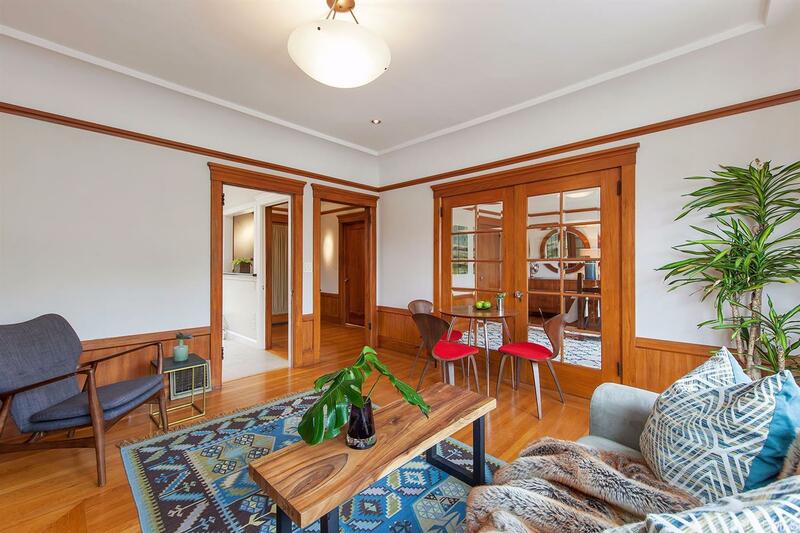 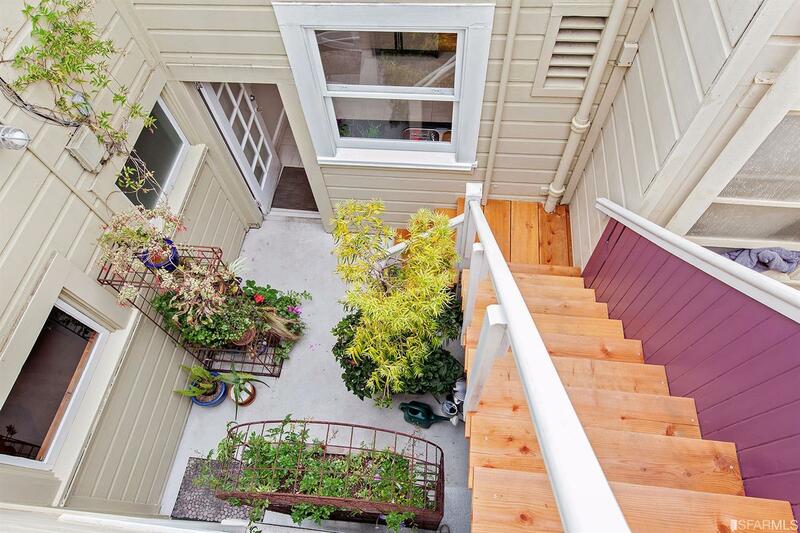 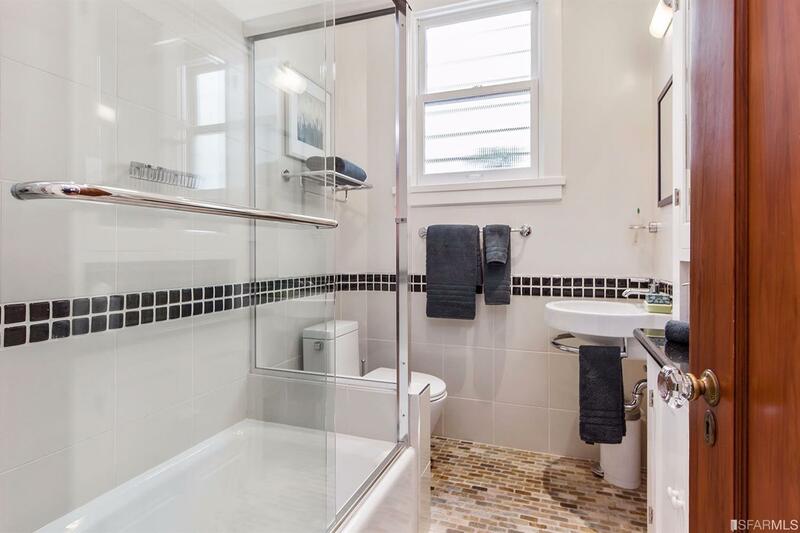 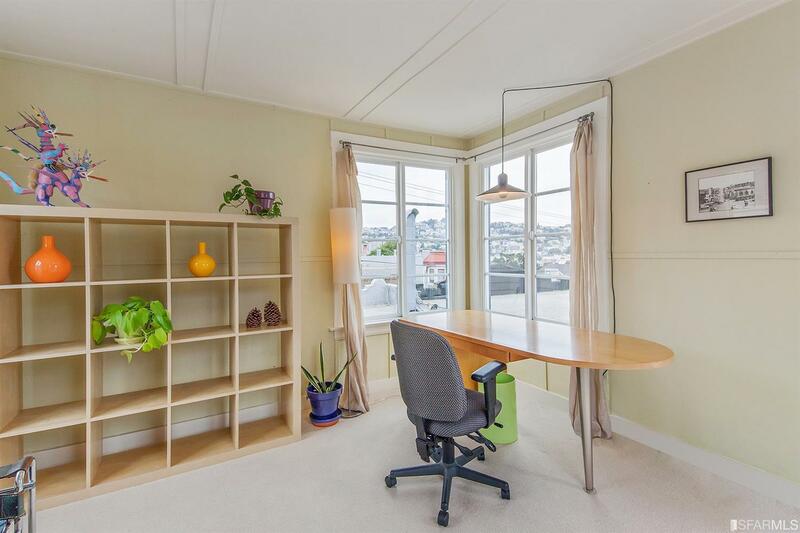 Convenient to nearby Noe Valley + Mission Neighborhoods, nearby transit hubs for MUNI, BART and company shuttle stops – 695 Castro is a place to call home! 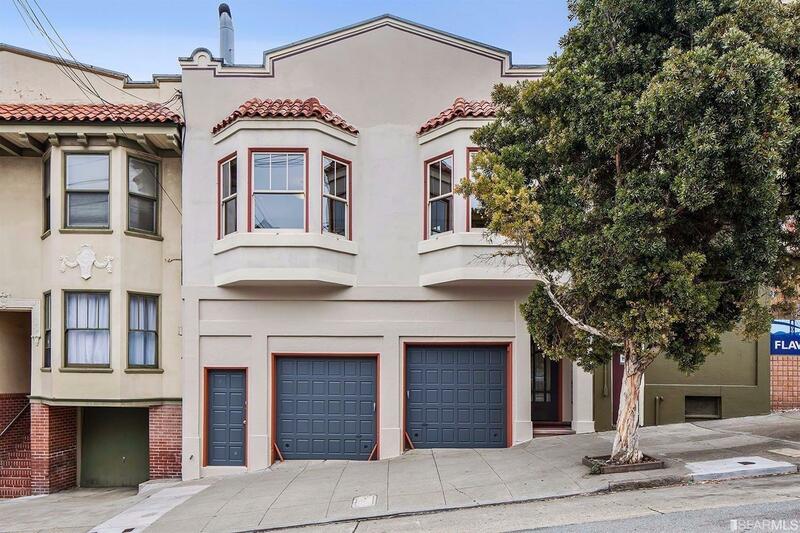 Front Unit – features entry foyer opening into living/dining room with fireplace and custom built-ins, spacious bedroom with large closet, custom bath with shower over deep rim cast tub, and chef’s kitchen opening to a common center garden patio with access to small deck and pent room featuring sweeping views from Twin Peaks across the Corona Heights Ridge to Downtown. 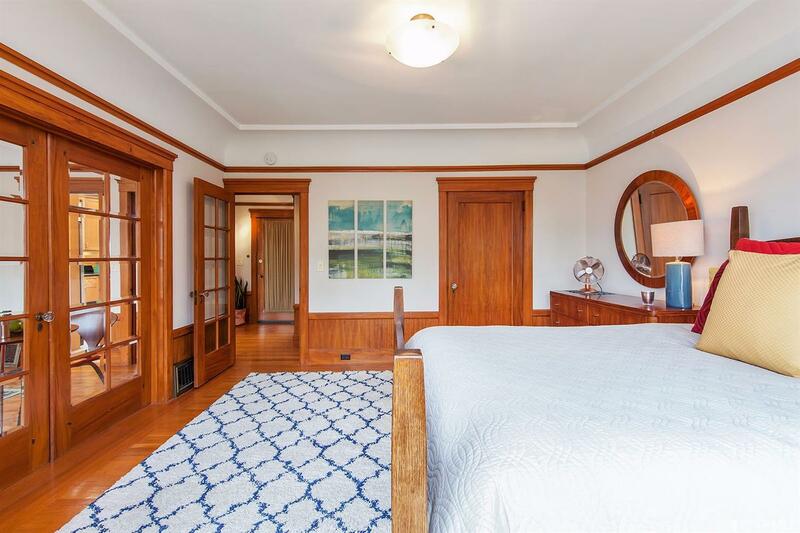 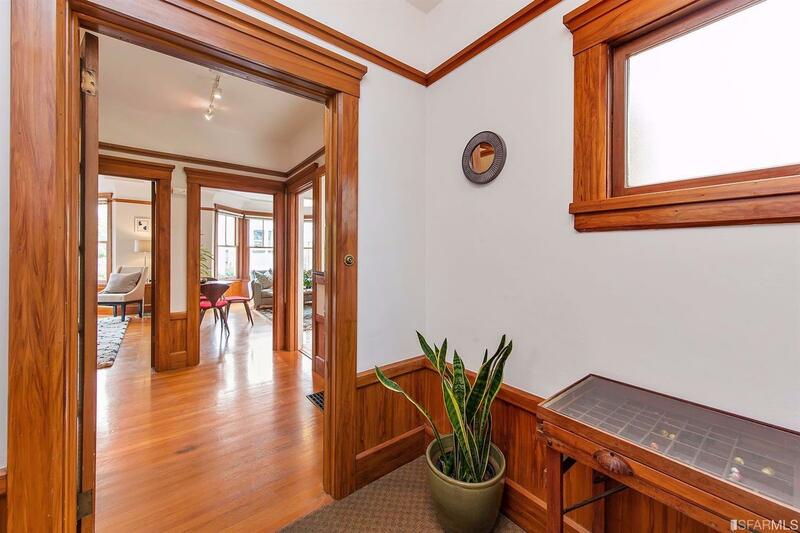 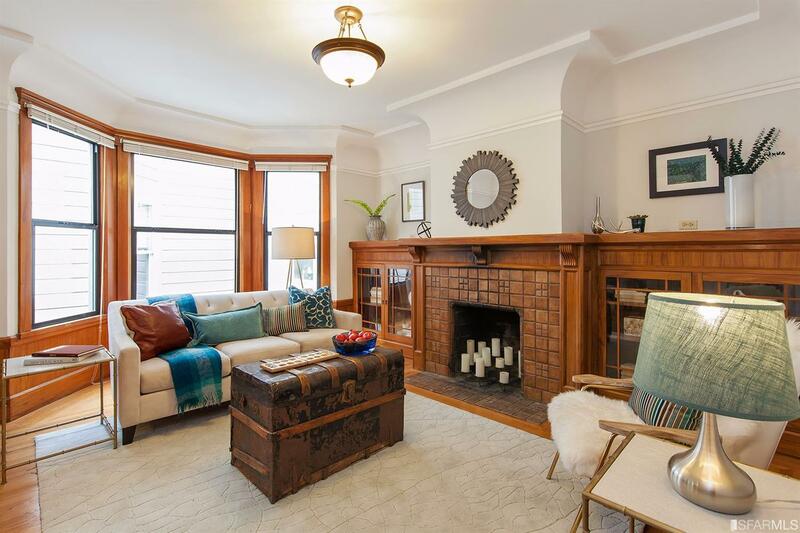 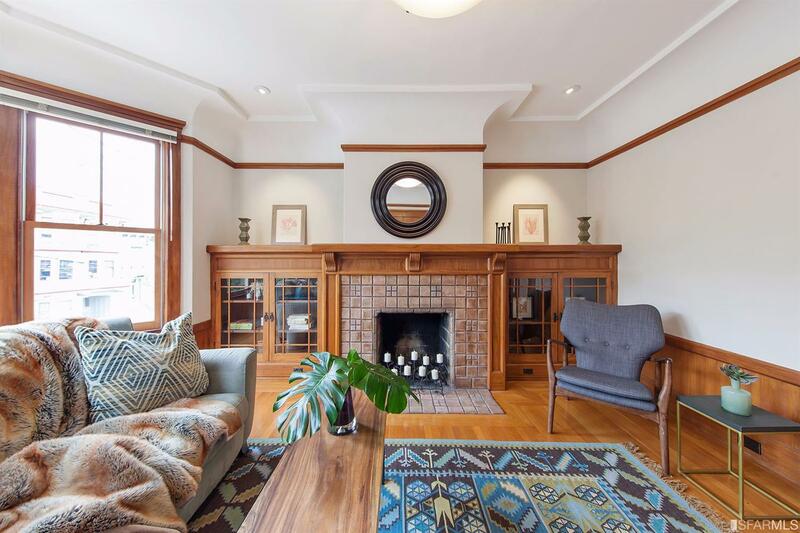 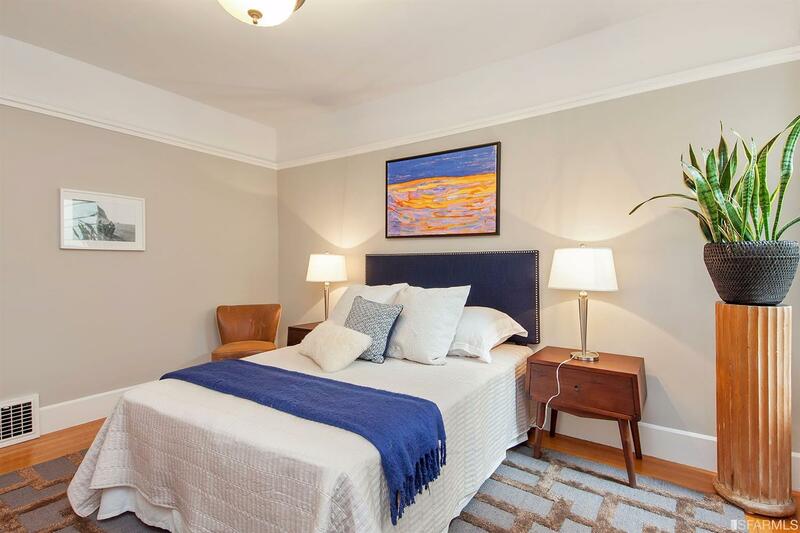 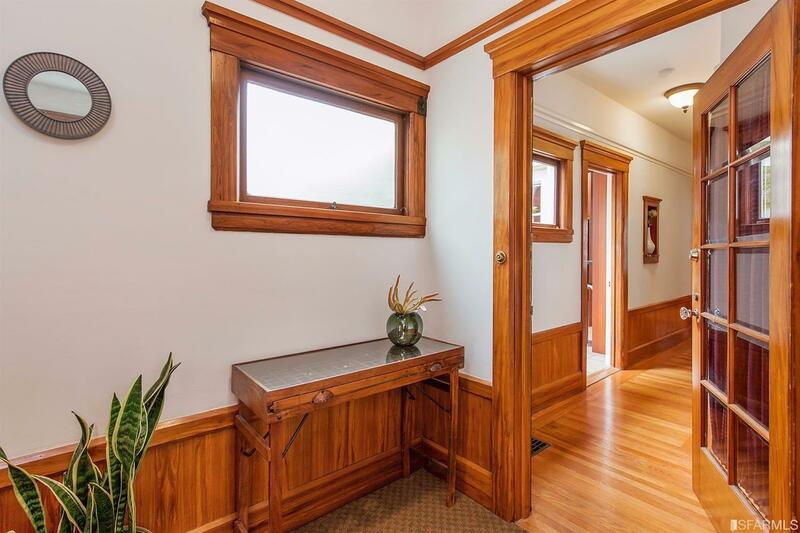 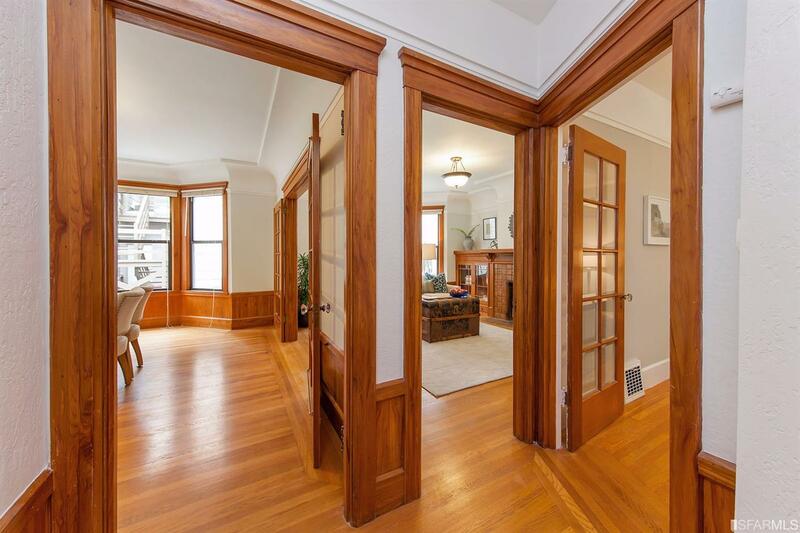 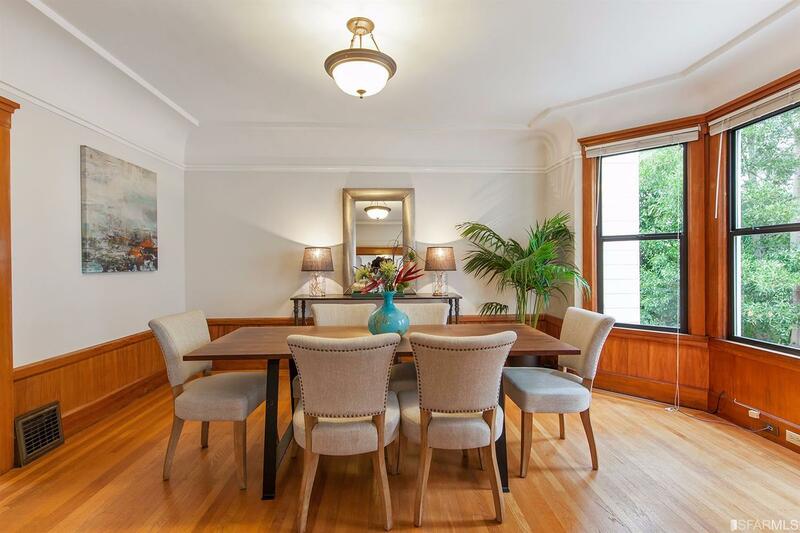 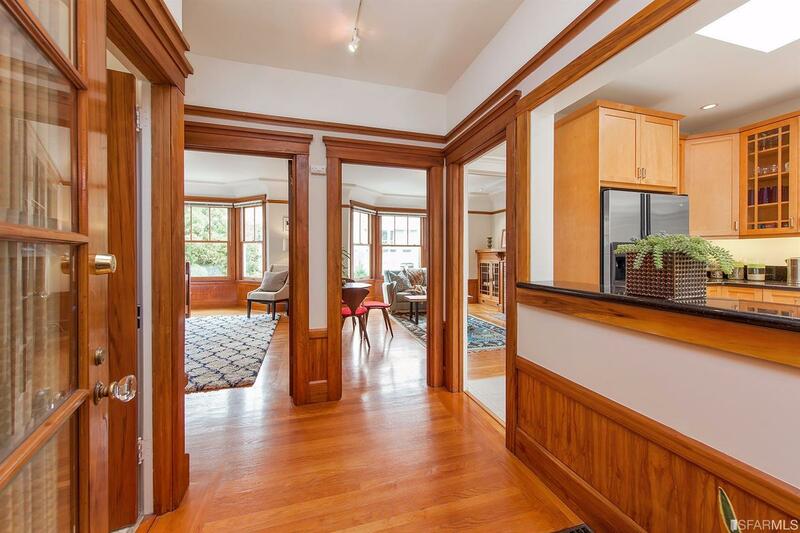 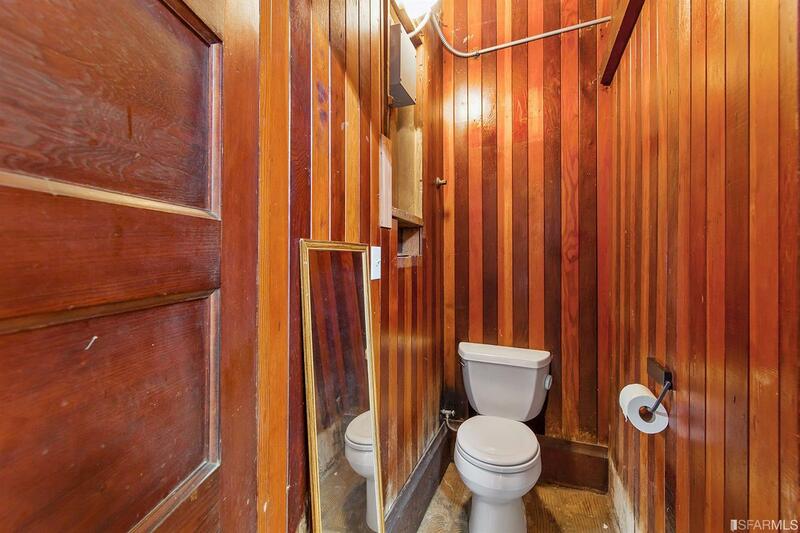 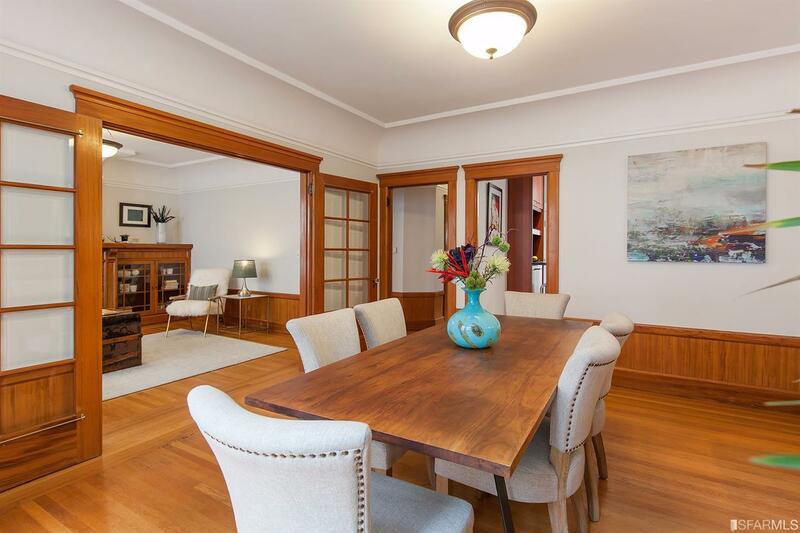 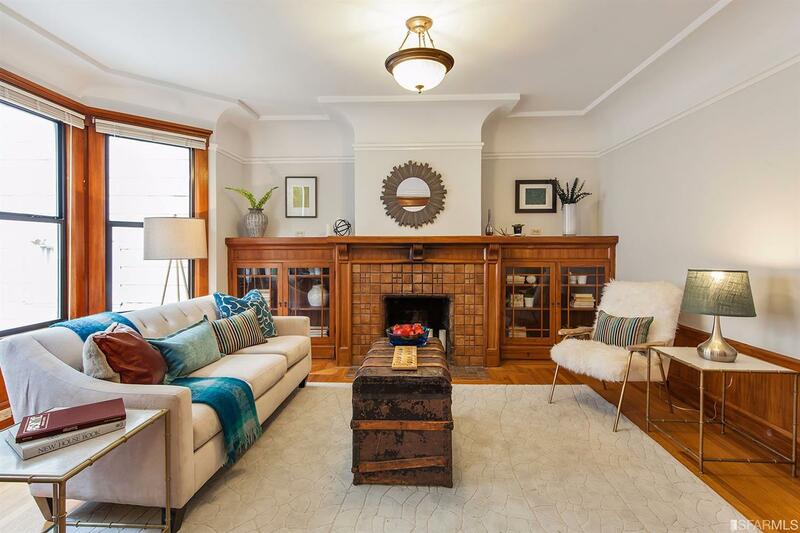 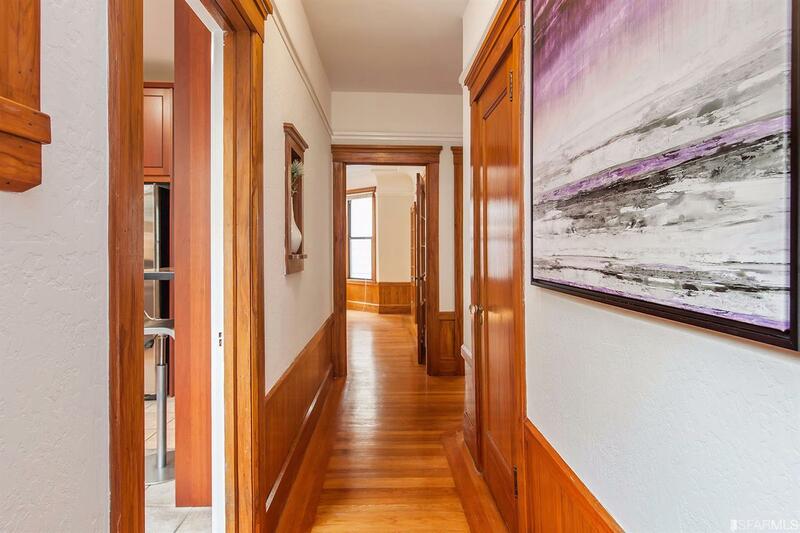 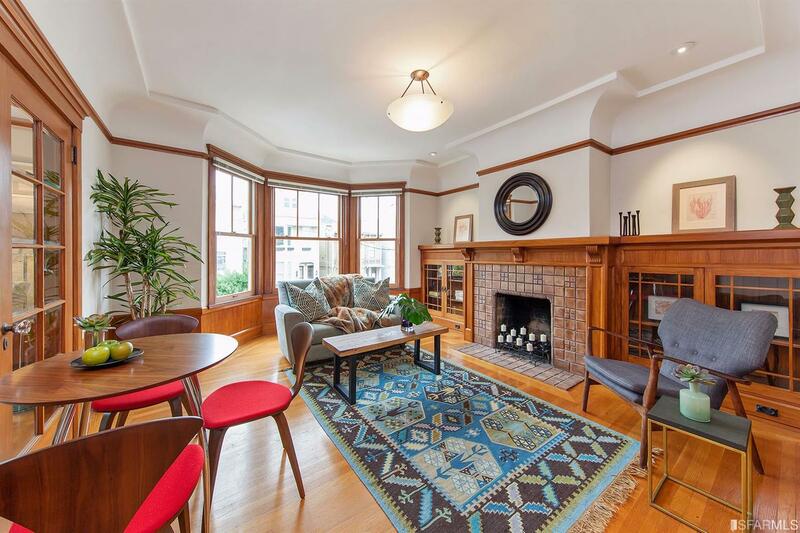 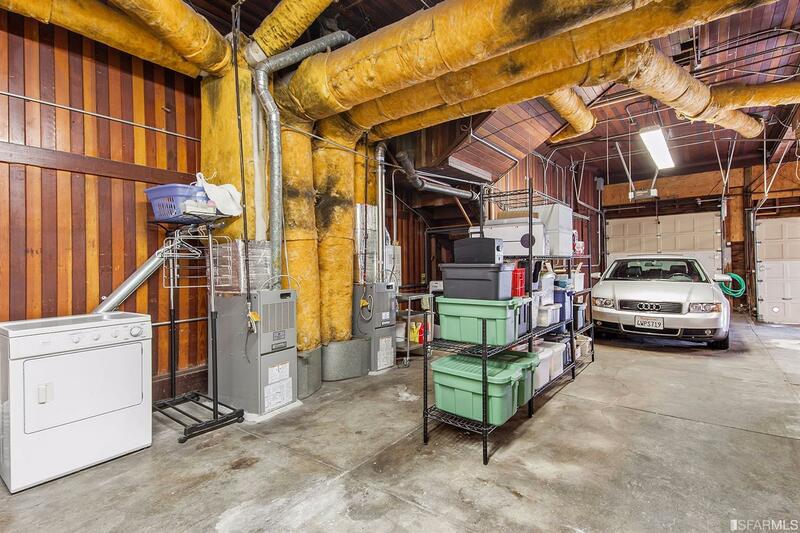 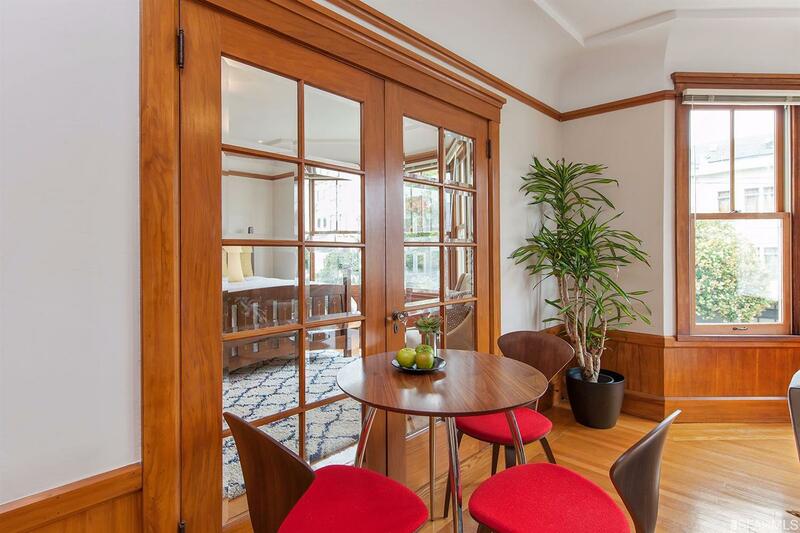 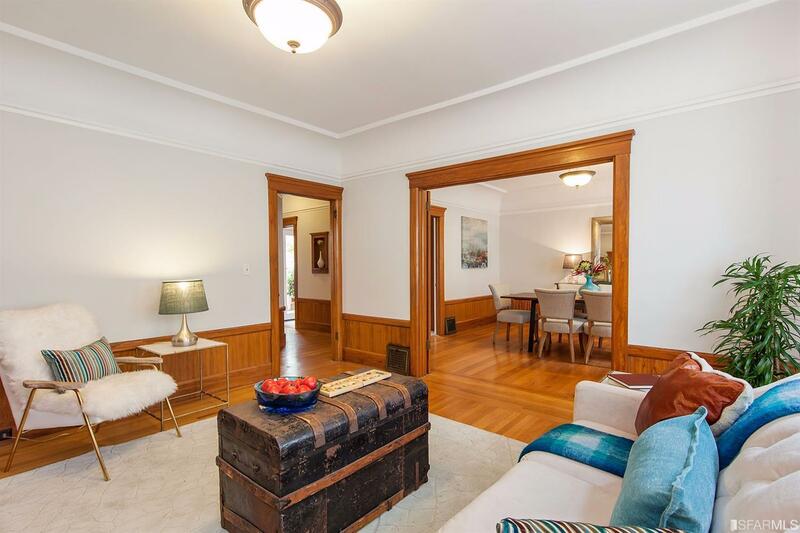 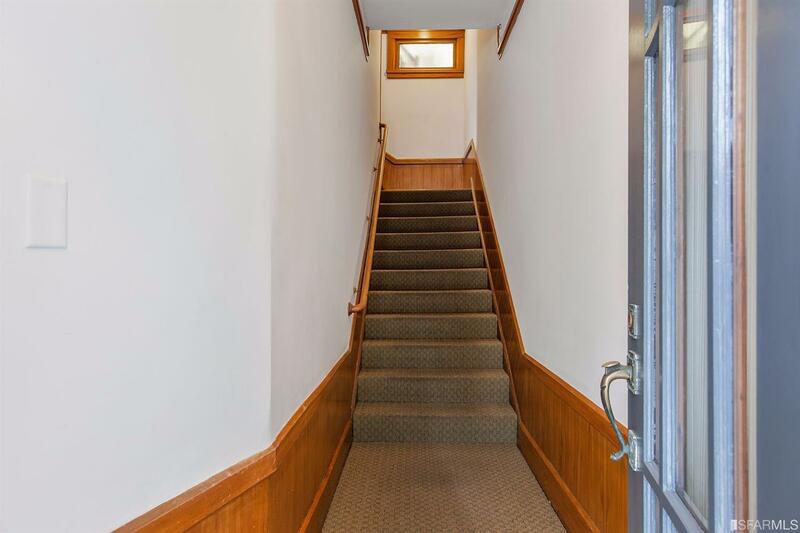 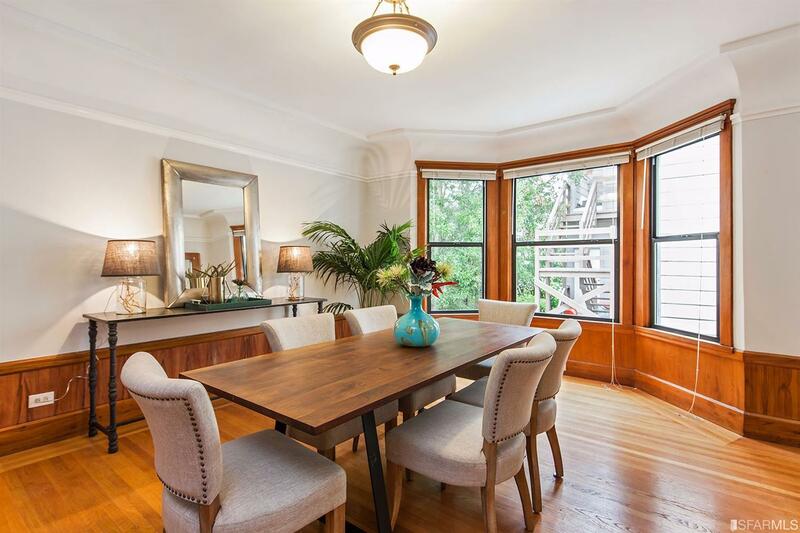 Rear Unit – features original paneled foyer opening into a formal dining room with leaded doors showcasing a living room with vintage fireplace and cabinet surround. 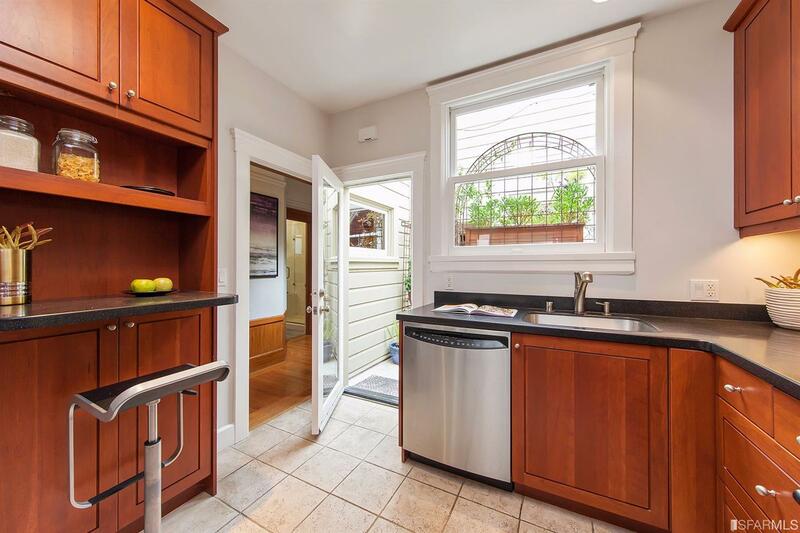 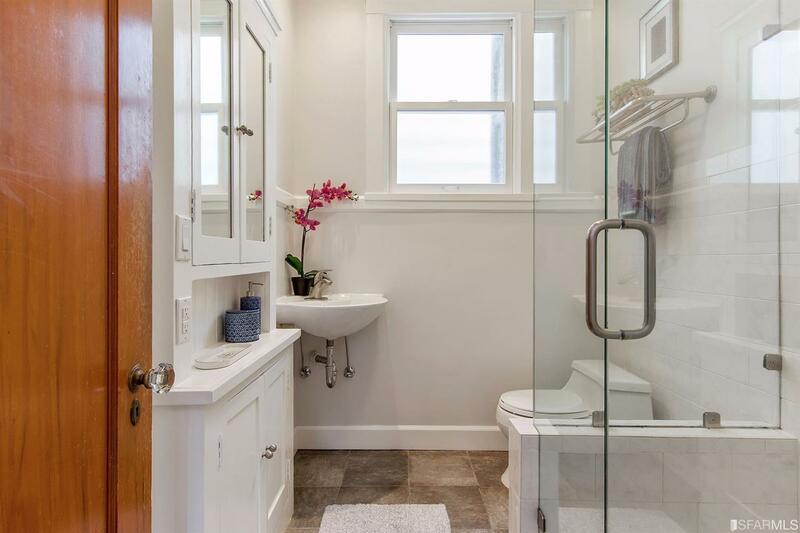 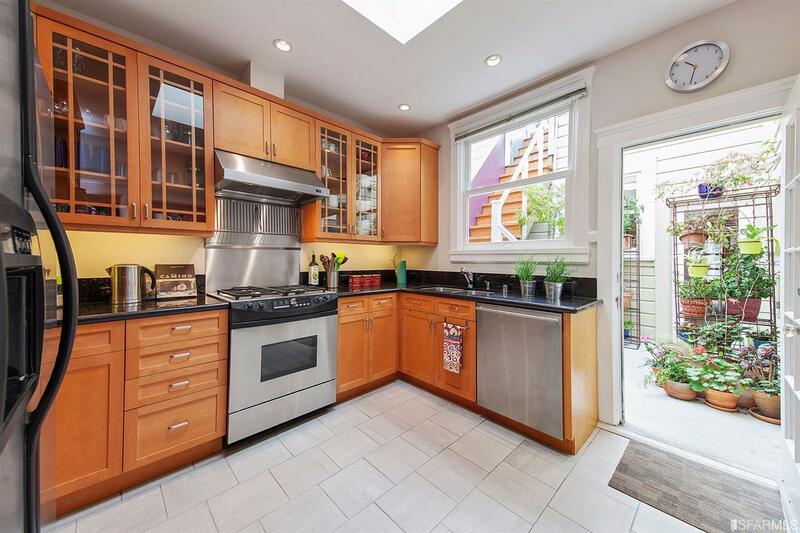 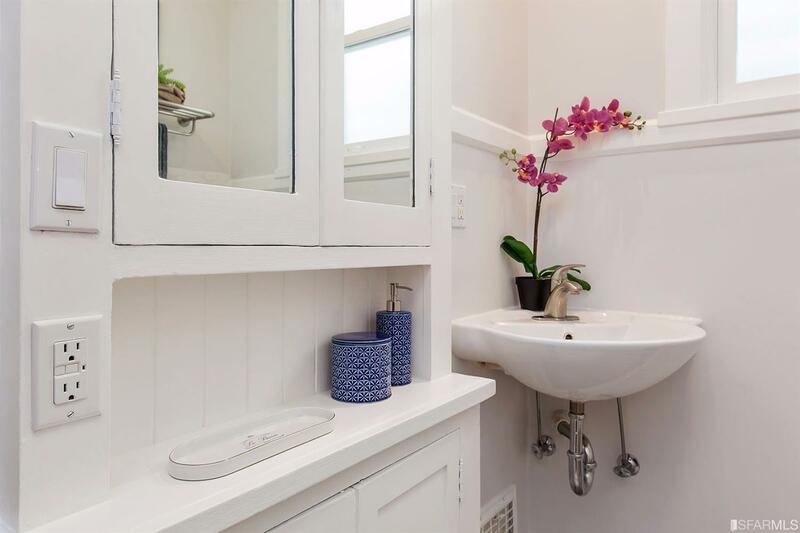 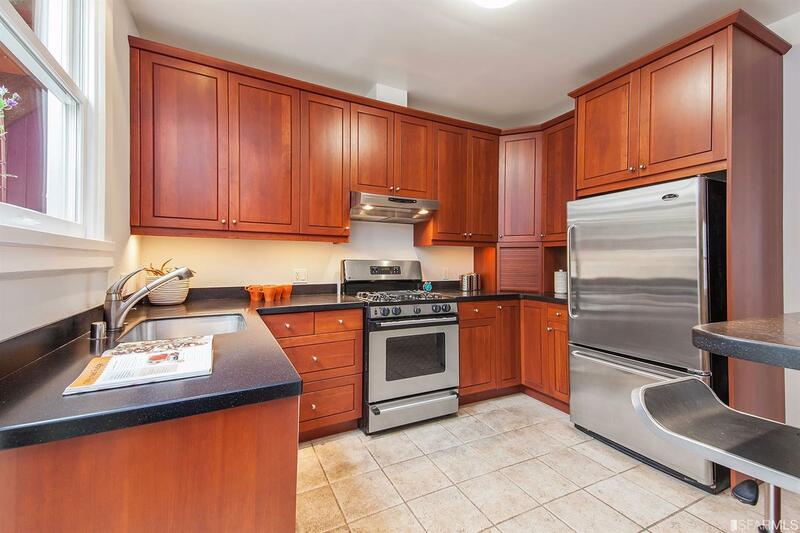 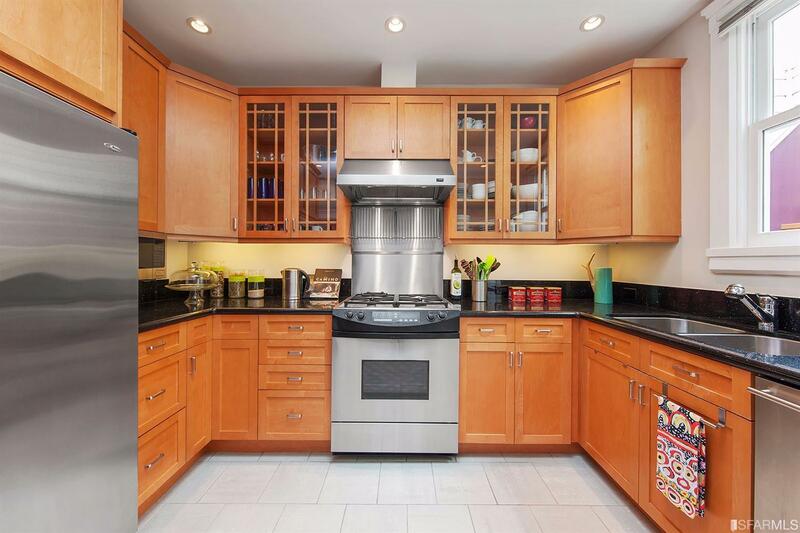 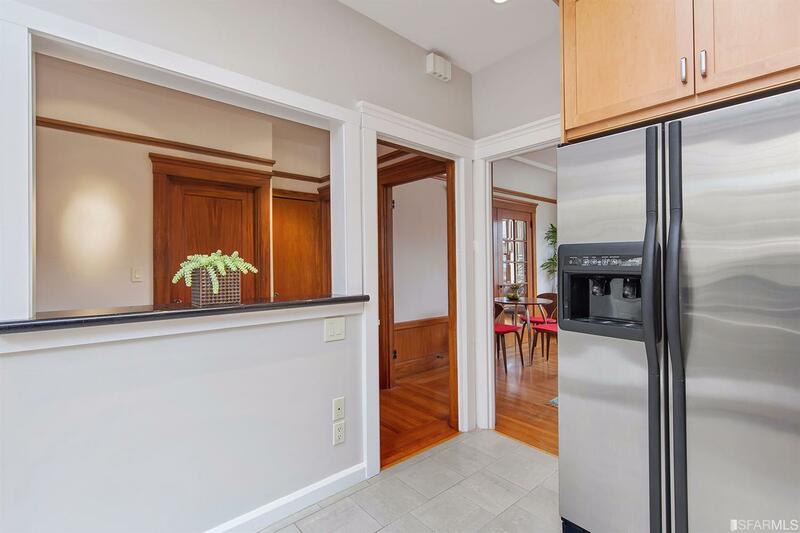 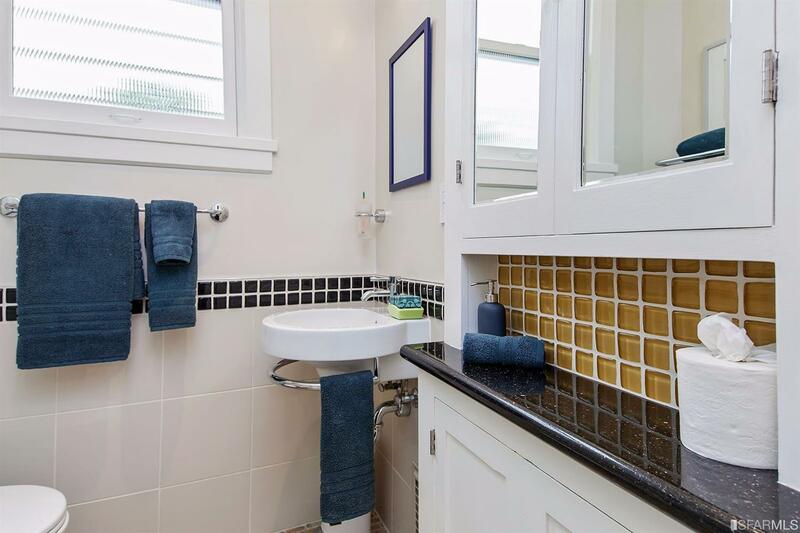 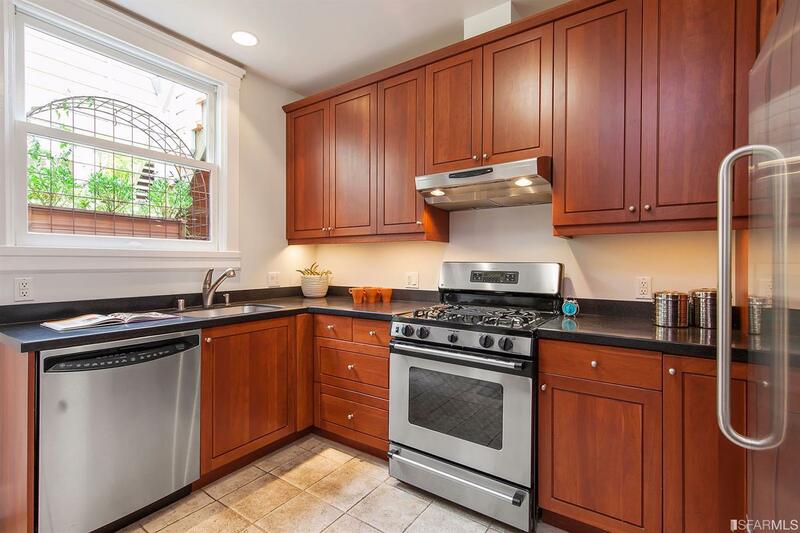 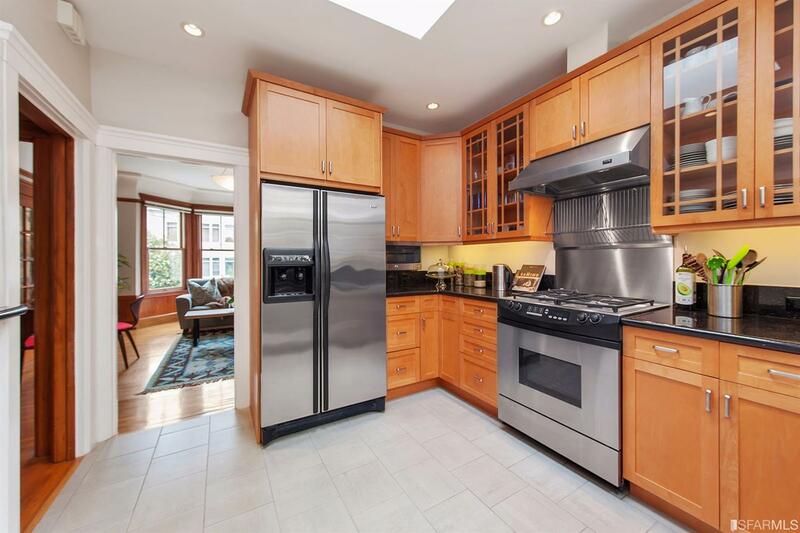 An updated kitchen appointed with cherry cabinets, Corian counters, stainless appliances, and direct access to common center garden patio, plus a private bedroom and updated bath with walk-in shower.